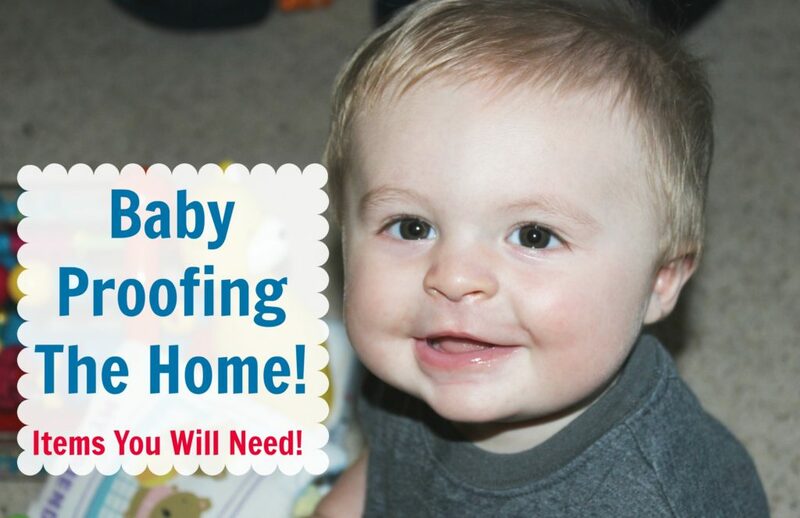 Products to Baby Proofing The Home - Keep baby safe! Products to Baby Proofing The Home – Keep baby safe! Time to Start Baby Proofing The Home! Clay is officially crawling and on the move, and with that comes baby proofing our home to keep our little guy safe! I can’t believe he is crawling everywhere exploring left and right, it feels like it is too soon for him to be doing this! Before we know it he will be up walking everywhere, then I hear we are really in for a treat, haha! As a first time parent, I knew some of these, and others I have learned as I have went, or had another expert parent share their insight with me! It is crazy all the things you look at everyday and don’t think twice about and now I zone in on every detail ensuring Clay won’t eat it or get hurt! Make sure to get plugin protectors, latches for cabinets, extension cord holders for wires, and such. 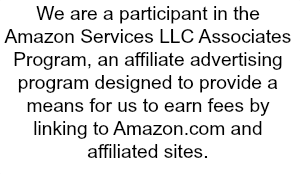 Those are for sure the basics of it, below you can shop directly to pick them up! Door Stops: One thing I wasn’t sure of, was if your home is like ours we have these door stops that are springs. Those white stoppers on the end are a rubber texture, if you pull on them, they pop right off. I went to Facebook to ask some moms what to do, they said super glue the ends on, so they can’t pull off. Now you could go the extra mile and remove these door stops and replace with some newer ones, that are round circles and more baby friendly! Magnets on The Fridge: If you have magnets on the fridge, make sure it is high enough up, they can’t reach. It is easy for them to reach and grab it and of course it goes right in their mouths! Rug No-Slip Protector: If you have rugs in your home, you may want this non-slip grip rug protector. You just lay under your rugs to help you from slipping. This is great for laminate or wood floors. Any floor that is slippery! Also wouldn’t hurt to get some non-skid socks! Cleaning Supplies and Medicine: This is one that you all probably know, make sure cleaning supplies are out of reach. Keep them up high or locked tight in a cabinet where the baby can’t reach. I know I have seen a lot of post where babies get into medicine or cleaning supplies and get taken to ER or call poison control. Just make sure they are out of reach. Decorations and Tables: We had a little table with an old phone on it for decorations. I know with Clay it isn’t safe because the table isn’t very heavy and he could take two pulls on it and the thing would tip right over on him. Look around your house and see if any decorations or little tables could cause a problem like this one could have. Baby Gates: This one is a beauty in my world. It has saved a lot of time. Clay is crawling everywhere, so I make sure he is blocked off in the living and dining room. I know everything is safe for him, and he can’t get into anything. So we spend most of the day playing in their and the gates help keep him in my site, so he isn’t running into every room in the house. 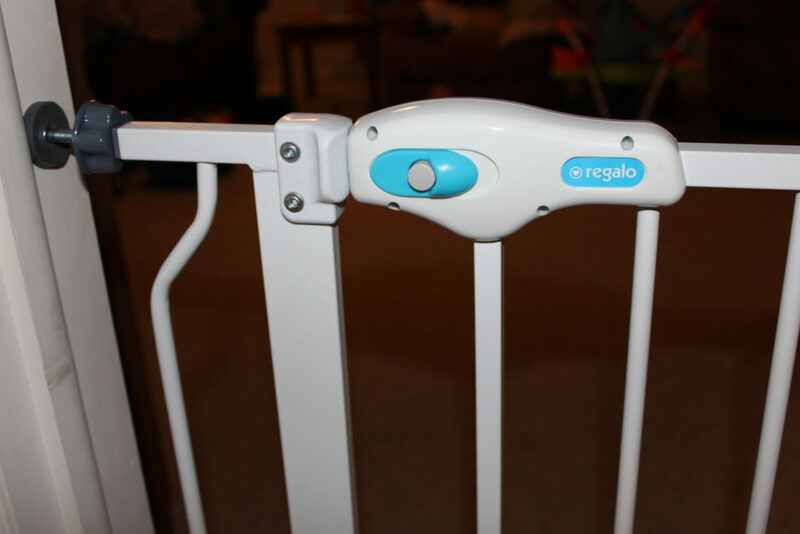 We bought these, Regalo Easy walk through gates, you have a little handle that opens so you don’t have to step over the gate. It is so handy! You can either add cups to the ends where you screw into the door frame, or use the pressure cups. We are using the pressure cups and they work great. Hot water heater: Here is one I didn’t ever think about. Make sure to set your water heater under 120 degrees to protect against scalding them. You don’t want them going to wash hands and the water on straight hot and burning their skin. 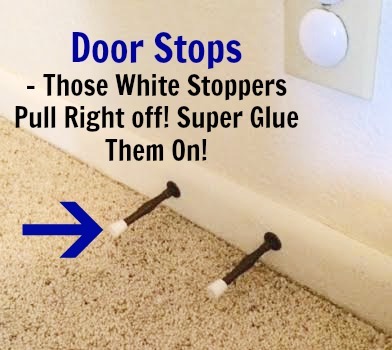 Door Pinch Guards: This is a good one to buy, door pinch guards, prevents them from shutting or pinching their hand in doors. I hope some of these help you to get an idea of where to start on baby proofing! Their is so much you can do to your home. I hope this gives you a start on keeping baby safe.